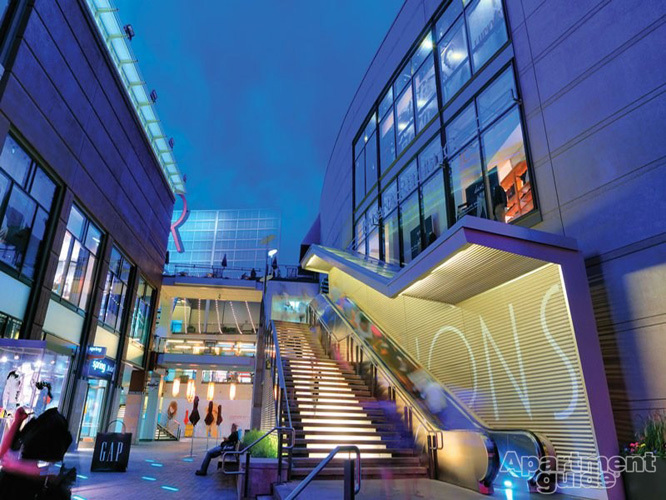 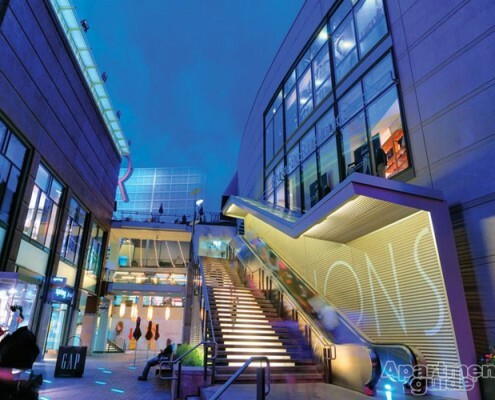 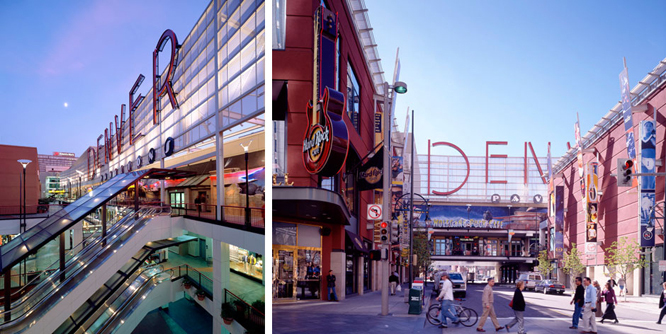 This open-air center includes four free standing buildings clustered around exterior arcades and escalators. 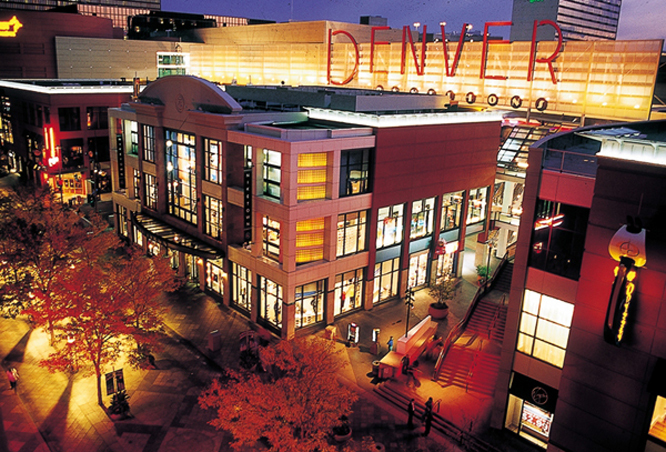 The center spans Glenarm Street with leasable area and pedestrian walkways. 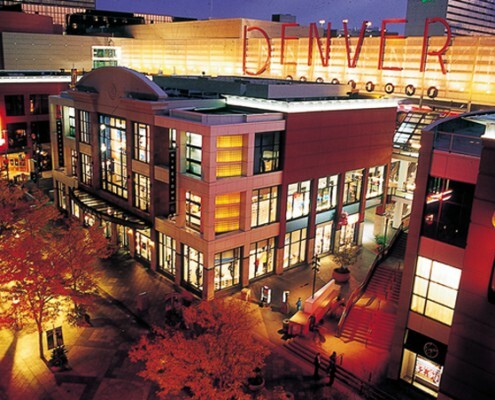 Also included is a two level, 360,000 sq ft underground parking garage. 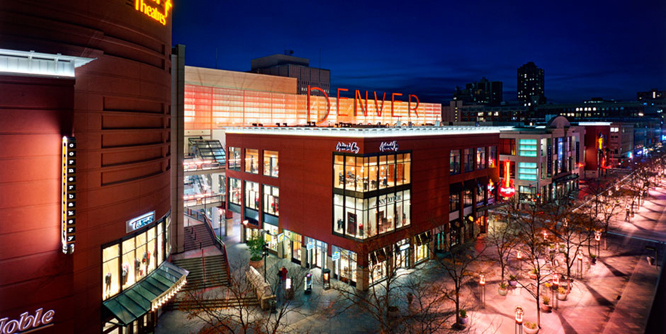 Highlighting the project is a “Great Wall” spanning two city blocks above the project announcing the name “Denver”. 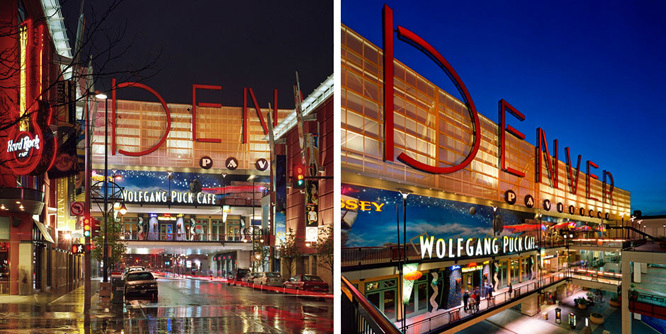 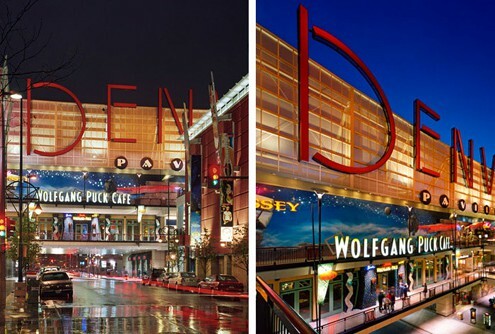 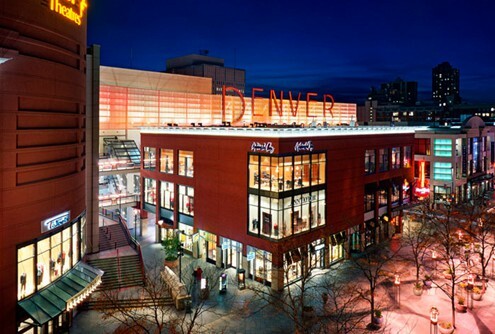 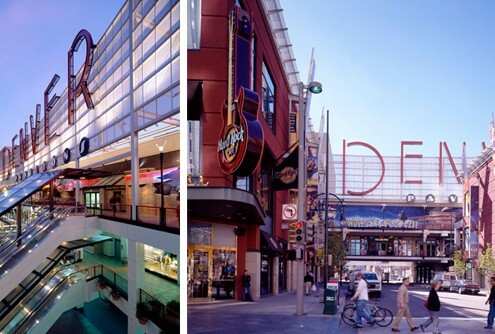 The Denver Pavilions includes a fifteen screen United Artists Theater, NikeTown, Virgin Records Megastore, HardRock Cafe, Barnes & Noble, Wolfgang Puck Cafe, Maggiano’s, Banana Republic and Ann Taylor Limited, Victoria’s Secrets, and others.